It hasn’t even been a week since the launch of the Apple Watch, but users are already putting it through a series of torture tests, each more gruelling and unscientific than the last. The results? Most of the tests show that the Apple Watch is pretty darn resistant, not just to water, but to being boiled, grated, power-drilled, and scratched with a steel key, among others. If you enjoy watching exquisitely crafted electronics being abused, we’ve put together a set of videos that will do it for you. Arranged from mildest to most insane, they’re all about seeing just how much wear and tear the Apple Watch can take (as well as how ingeniously sadistic the human mind can get). Warning: not for the faint of heart. Based on how water-resistant most smartphones are — which is to say, not resistant at all — you wouldn’t expect the Apple Watch to survive a fifteen-minute dunk in a swimming pool. And you’d be wrong. 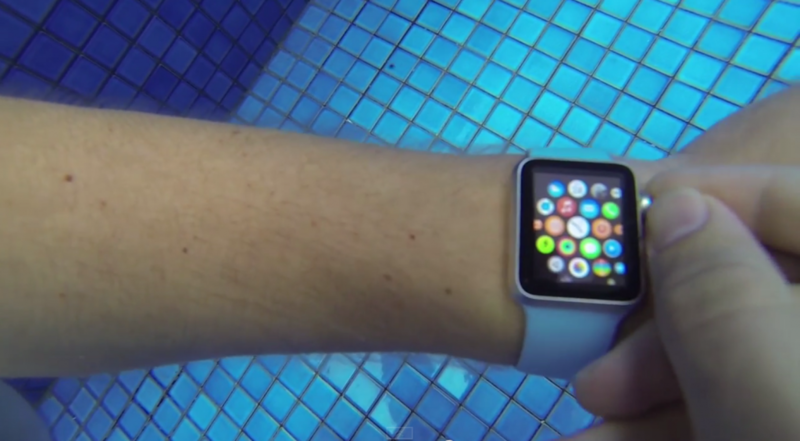 This test started out light — the guys at FoneFox took their Apple Watch Sport in for a shower. When shampoo and water failed to do the trick, they went on to fully submerge the smartwatch in a pail of water for five minutes. Finally, out of sheer desperation, they decided to throw it into a 1.2m-deep swimming pool, where it rested at the bottom for fifteen minutes. Incredibly, they found it was not only still fully functional — they also managed to get the capacitive touchscreen to partially work underwater. When you have a watch so waterproof that it makes people say disappointedly, “We couldn’t get it to stop working”, you know you’ve got a good watch. Still, we wouldn’t recommend that you go swimming with the Apple Watch, however tempting that sounds — with a water resistance rating of IPX7, the watch is best immersed in water for less than half an hour. 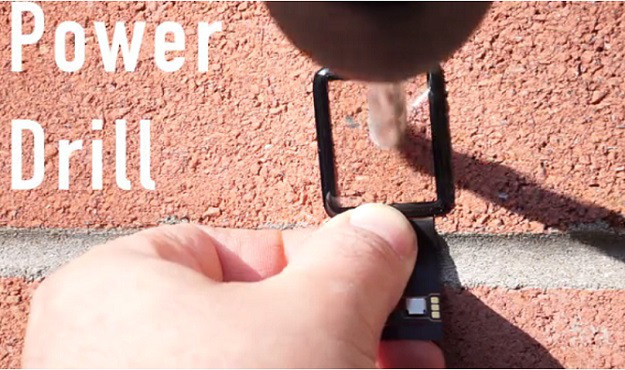 This video by iPhonefixed proves that should you put your Apple Watch and your keys in the same pocket — which is plausible — there won’t be any damage worth speaking of. You won’t need to worry about scratches if you accidentally scrape your watch-clad wrist against a stone wall or abrasive paper either. Some more things you won’t need to worry about? ‘Accidentally’ bludgeoning the Apple Watch with a hammer, as well as attempting to bore a hole in it with a power drill. Yes, the surface of your Apple Watch is officially more scratch-resistant than the walls of your house — which, depending on your standpoint, is either amazing or slightly ridiculous. 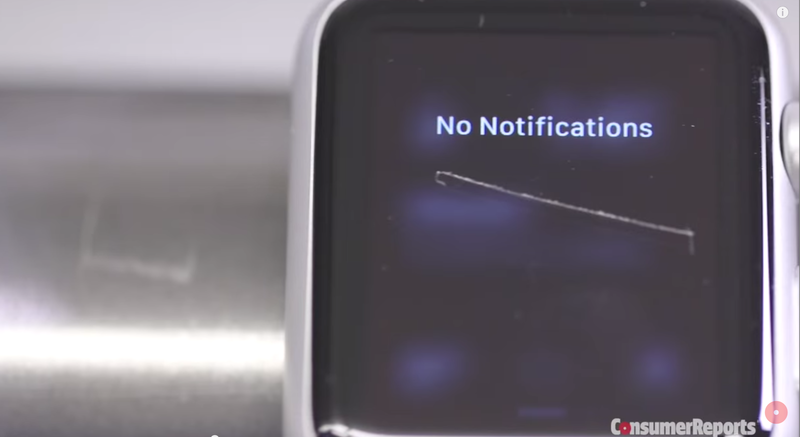 So if a power drill can’t scratch the Apple Watch, what can? If you’re looking for a slightly more scientific method of testing than the usual indiscriminate destruction-types, this is the video for you. 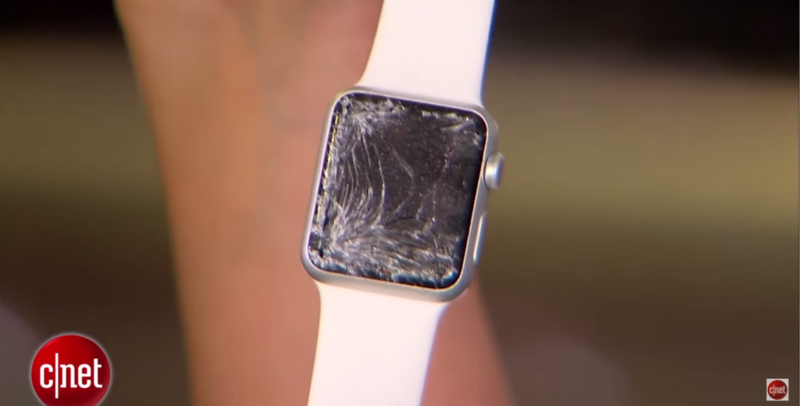 Consumer Reports is a consumer-testing organisation famous for exposing an obscure design flaw in the iPhone 4’s antenna, and they didn’t go easy on the Apple Watch this time either. First up was the Apple Watch Sport: the team at Consumer Reports scratched the Ion X-coated face with picks that got progressively harder and harder along the Mohs hardness scale. Out of 10 picks, the Apple Watch Sport withstood picks as hard as a penknife, a steel nail and a drill bit without damage, finally being scratched by an 8-rated pick. As expected, the Apple Watch with a sapphire display fared even more impressively, surviving up to a 9-rated pick. This means that nothing short of diamond — or sandpaper — can scratch your beloved watch, which is reassuring unless, say, you’re fond of diamond jewellery. Cooking show fans will love this one — it’s like culinary preparation gone horribly, horribly wrong. 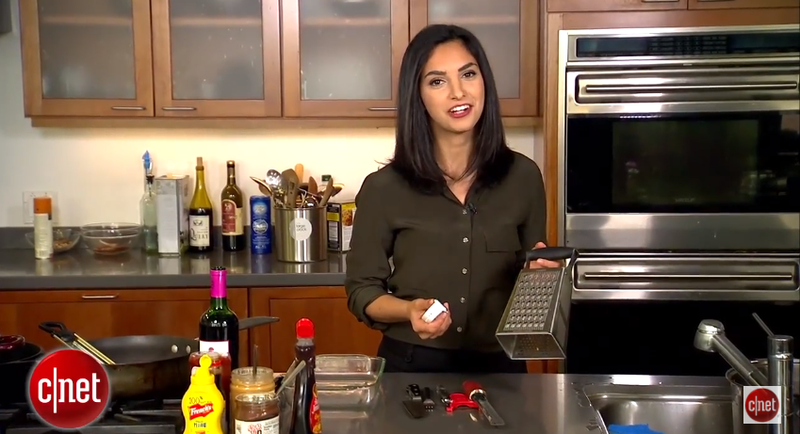 In this video, we get to watch a woman with the poise of a cooking show host and a disturbingly angelic smile put the Apple Watch Sport through some kitchen-themed torture. The Ion-X coated face of the Apple Watch emerged unhurt from being enthusiastically sanded with a grater and struck with a sharp microplane. From there, our CNet host spilled maple syrup, wine, ketchup, mustard, peanut butter, and Nutella over the Apple Watch, producing a nauseating concoction that washes off to reveal…a perfectly white, spotless watch. Dunked in a pot of boiling hot water, the watch rose like a phoenix from the ashes, rebooting itself just a few minutes after. It also survived a nerve-wracking few minutes of being dropped and stepped on, finally only being shattered by one thing: a blow from a 7-pound cast-iron skillet. RIP, Apple Watch. You were very brave. What Do Singapore’s Watchmakers Really Think About The Apple Watch?